This is a custom item. The colors are customizable. Please contact me with color requests. The mass produced ornament garland and wreaths you find hanging in craft and department stores can be barren and drab with a high price tag for a not so high quality product. 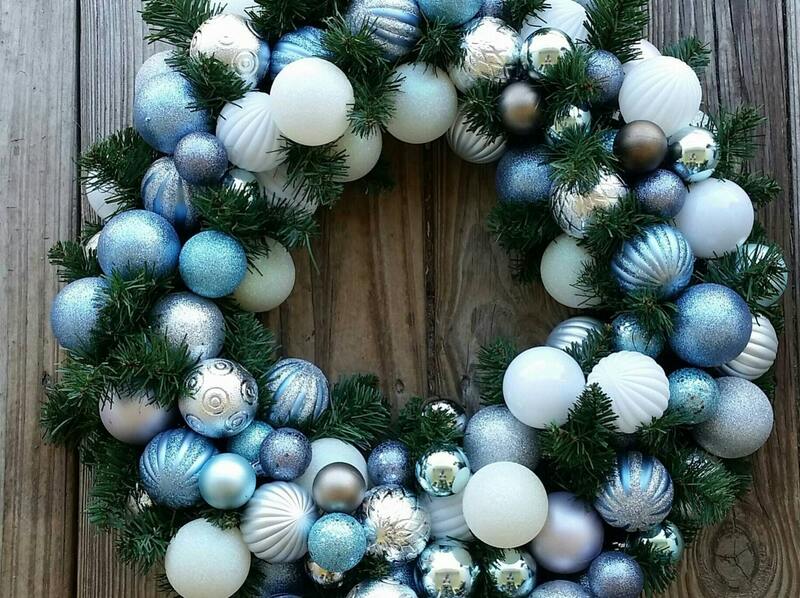 DyJo Designs's ornament wreaths and garlands are everything a department store garlands and wreaths wants to be... it's packed full of Christmas cheer! Create a knock out mantle. Drape over door ways, windows, or cabinets. Festoon your porch or stair railings with Christmas cheer. You can create that magazine look without the magazine price tag. 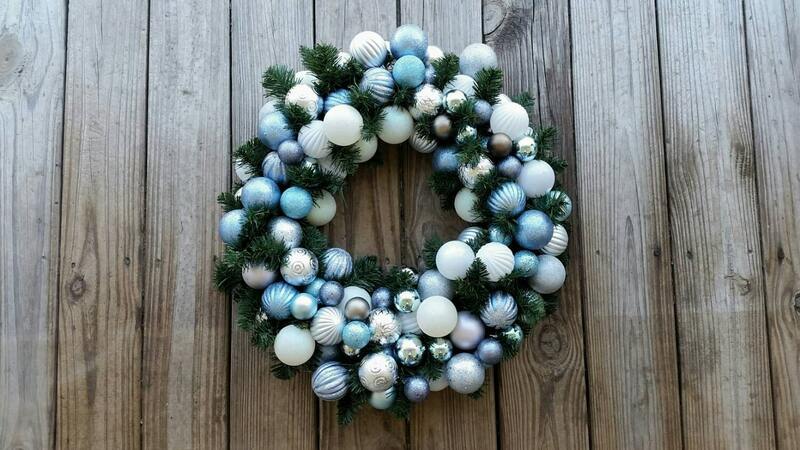 You will receive a 20 inch traditional pine wreath packed with shatter proof ornaments. Shatternproof ornaments do not break like glass ornaments and are much safer for use. The cap for each individual ornament has been glued, prior to attachment to the garland, to ensure the ornaments will not pop off the wreath. The ornaments were layed out carefully to avoid bald or barren spots. 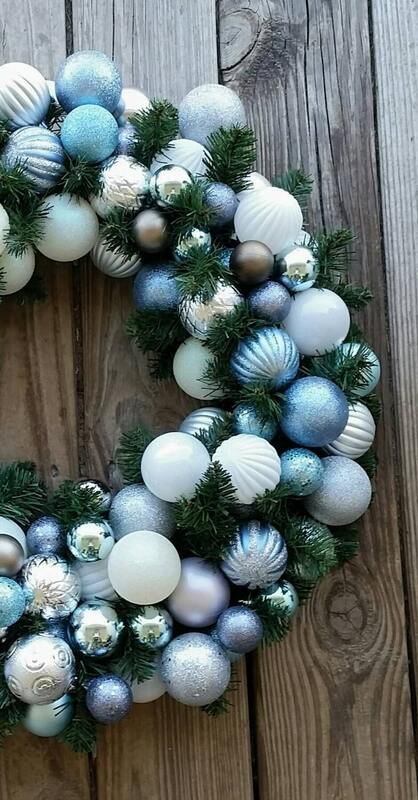 If you order multiples or matching garland they will not match perfectly but they are made of the same materials and will blend together flawlessly. Each ornament is hand wired into garland amd wreaths to make sure each piece is fluffy and full. 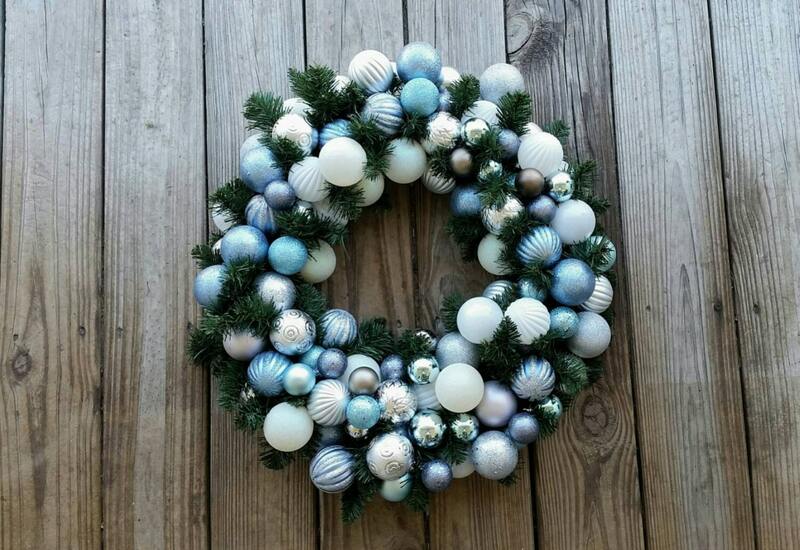 Measuring approximately 20 inches in diameter, the wreath form iss standard pine with shatter proof ornaments. Each piece is loaded with blue shatterproof ornaments... both big and small. 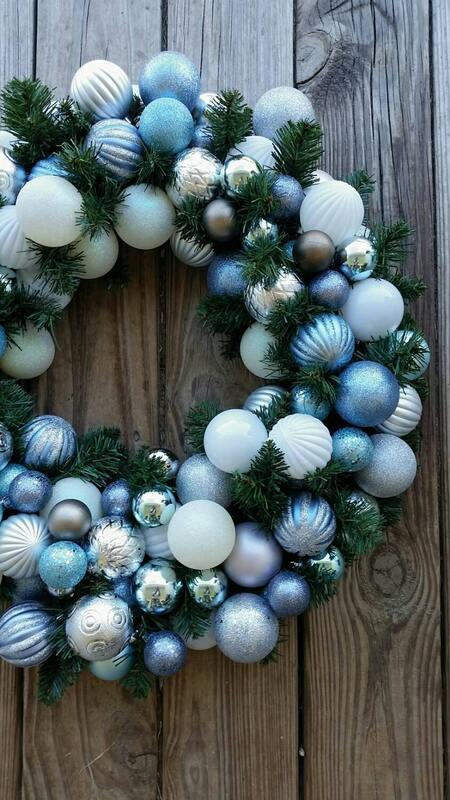 Want something truly custom to match your current decor and Christmas flare? Message me for details and pricing. We can tweak the colors to make your Christmas order absolutely perfect!